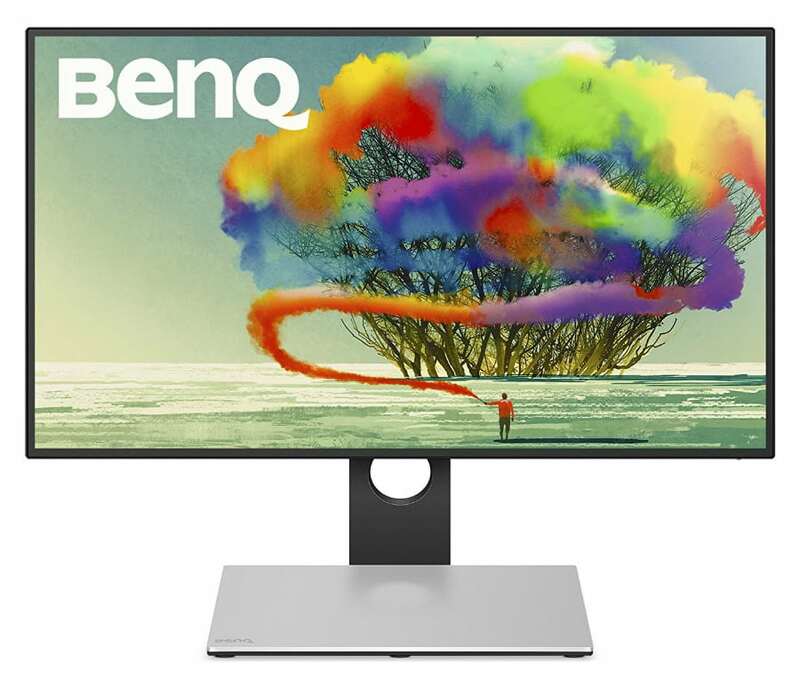 The BenQ PD2710QC is a stylish display built for home and office users who want uncompromised performance in image quality and responsiveness. This monitor promises to deliver vibrant colors via its IPS panel while offering utilitarian flexibility for mixed uses. The BenQ PD2710QC isn’t as cutting-edge as some of the best displays on the market, but its midrange nature should make it a best seller for consumers who want the best bang for their buck. The BenQ PD2710QC adopts a luxurious appearance with its silver and black cabinet which gives it a premium feel. The face has slim bezels so users will have an unobstructed view of the gorgeous screen. The main body is slim as well making it ideal for flush mounting, although if you use the included stand, it will consume 11 Inches on your desk. 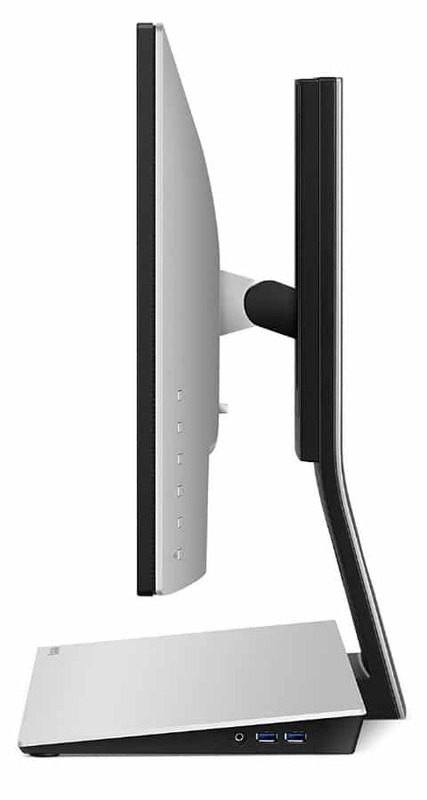 What’s fantastic about the BenQ PD2710QC is its stand, which includes a complete range of ergonomic options. Unlike similar models like the Asus MX27AQ which only has tilt, with this model you can adjust height and pivot for a perfect view. If you want to remove this part, you can easily do so but you will need an optional mounting kit for VESA compatibility. But we wouldn’t recommend doing that since the BenQ PD2710QC’s unique features are on the base. The latter doubles as a fully-equipped docking station which includes a DisplayPort, a USB-C slot, plus two USB 3.0 downstream receptacles and an RJ45 LAN port. On the right side, you will also see two more USB 3.0 slots for convenience and a 3.5mm headphone jack, plus a wide enough top surface to hold a notebook. This unique design omits the need to turn the monitor over in case you need to connect devices such as USB-C laptops, an alternate CPU, gaming consoles, or media players. It is also interesting to note that the USB-C port has a power delivery rating of 61 Watts, which should allow charging and data transfer with smaller laptops. This makes the BenQ PD2710QC an efficient all in one display for all your digital devices, which in turn saves space and precious energy. Of course, the BenQ PD2710QC still has a standard I/O layout on its rear which includes DisplayPort 1.2, Mini DP 1.2, DP Out, and an HDMI 1.4 slot. Frankly, the connectivity options on this model are overkill, but the various connectors allow a multitude of setup options which we rarely see. To top it all off, there is also a pair of built-in speakers, but the power and quality cannot match the refined ones used in the Asus MX series. The BenQ PD2710QC features a 27-inch IPS panel with a 2560 x 1440 resolution, 60Hz refresh rate, and a 5ms response time. A contrast ratio of 1000:1 and maximum brightness at 350cd/m2 are also specified, suggesting that this model comes equipped with a standard module. What’s great about it is its 8-bit interface which creates 100% coverage of the sRGB gamut and 100% REC. 709, ensuring your media is vibrant and lifelike. Of course, wide gamuts should always come with superb accuracy, an aspect which the BenQ PD2710QC excels in during our tests. The reds, greens, and blues are perfectly aligned with their ideal points suggesting minimal errors in color reproduction. Dark pictures are clear thanks to the excellent contrast ratio, with every shade and shadow appearing highlighted and sharp. The BenQ PD2710QC isn’t a full-fledged gaming monitor or even a high-grade professional display, but the middle ground it presents makes it a reasonable choice for both. Most designers rarely need exotic gamut coverage like Adobe RGB, while gamers can get away with a 60Hz monitor that is responsive enough for casual gaming. The 5ms panel handled fast-paced action in our Destiny 2 test admirably, since, for the most part, we didn’t notice interlacing or blurring which affected gameplay. Users can only see the difference if they rigorously scour the screen for defects, or if they have already used faster monitors. Of course, since this model isn’t equipped with high refresh rates and adaptive sync, gameplay might not be as buttery smooth. At least, your casual enjoyment is secure regarding control and input lag, since the BenQ PD2710QC only clocks in at 10ms. If this offering were equipped with a 144Hz refresh rate and FreeSync, we’d readily recommend it even for those who enjoy competitive play. Sadly, you can’t have everything in a model which emphasizes on mixed usage and versatility. But if you do a bit of technical work and enjoy gaming after a tough day on the job, the BenQ PD2710QC should at least make it to your shopping list. The product comes equipped with a multitude of functionalities which even includes CAD/CAM and Animation modes which will find its usefulness in the hands of digital artists. The OSD provides acceptable calibration parameters with RGB sliders and all that jazz, but of course, it isn’t as sophisticated as those found on upmarket models like the PD3200U. You can also maximize your view space by using BenQ’s Display Pilot software, which splits the display into multiple partitions. If that’s not enough, you can daisy chain multiple BenQ PD2710QC in dual or triple head setups, to create your ultimate command center which advances your productivity. The BenQ PD2710QC is a unique and well-thought out product with the needs of meticulous users in mind. Its ability to act as a dock for 13-inch MacBooks and laptops or as an all-in-one display for all your media devices makes it invaluable for practical users. It’s amazingly vibrant image output makes it suitable for both work and play, so you can’t go wrong with this model if you are looking for a versatile display. The biggest hindrance to the BenQ PD2710QC is its premium price which can buy you a similar sized 4K display which can offer sharper images. Of course, that option won’t include the connectivity and unique possibilities you can get with this model, but for some users, higher resolutions trump everything else. QHD still has a lot to offer, but the 4K era is now spreading too fast which could set this 1440p option aside when techies shop for a new screen.